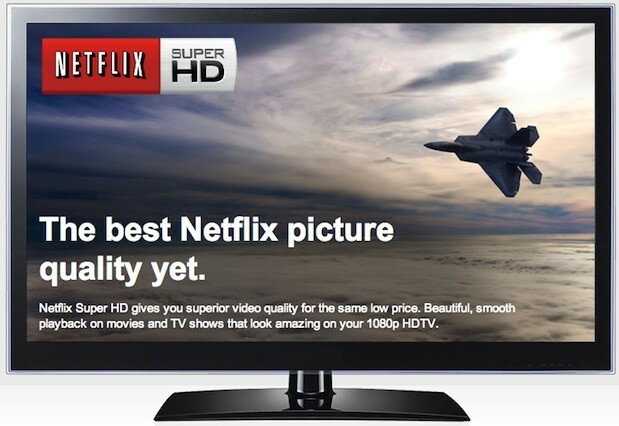 Netflix Super HD (and 3D): Is your ISP supported yet? Is your ISP on board yet? Rumors that Netflix was offering ISPs access to higher quality streams in return for partnering on distribution surfaced early last year, and were followed by the announcement of its Open Connect CDN network in June. Now the full picture has been revealed with the company's announcement of "Super HD" 1080p and (in the US only, for now) 3D streaming, which comes to its customers at no extra cost, but only on certain devices plugged in to to Open Connect partner ISPs. The hardware list includes PS3, WiiU, Windows 8, Roku, Apple TVs as well as Blu-ray players and smart TVs with 1080p support. According to Netflix, most of its international streams are already going through compatible ISPs, however the only major participants announced in the US currently are Cablevision and Google Fiber. Watch Instantly customers can see if their ISP on the list by visiting the Super HD page and, if it isn't, they're encouraged to call and ask for it. Netflix's ability to manage bandwidth will be increasingly important and the ISPs customers access its with and along with those rankings, "Super HD" is an important lure to get them to play ball. We've been seeing some 3D ready titles pop up on the service in the last few weeks and now viewers can access titles like Art of Flight, Immortals and several titles from 3net. According to Dan Rayburn of Streaming Media Blog, the higher-quality encodes are targeted for 7 Mbps, while 3D streams top out at 12 Mbps. One question that lingers is how this quality bump aligns with recent changes some customers have noticed (if X-High suddenly reappears...), but until we get our eyes on the higher quality streams it's hard to tell. Reed Hastings says he wants all Netflix customers served by Open Connect (whether via colocated appliances or peered at common internet exchanges) as soon as possible -- we'll see if Comcast, Time Warner, Verizon, AT&T and the rest have a similar dream. I'm at work on AT&T and it isn't available for that yet. I'll check Charter when I get home, but I'm not expecting it to be honest. How about you guys? Re: Netflix Super HD (and 3D): Is your ISP supported yet? "Please contact your Internet Provider to request that they join the Netflix Open Connect network so you can get Super HD." Yeah, I'm going to call Comcast and the rep is going to say "WTF are you talking about." Yes to Super HD, no to 3D (as expected, since the article says US only for that bit). I don't recall seeing Super HD while streaming, but I'll have to check next time I watch something. My PS3 and Oppo will display the stream info data, but I'm not sure how to do that on the Roku or Windows 8 PC. Yep, I was just thinking the same scenerio. I went through too many reps trying to activate the 3D Olympic channel over the summer. Not one knew anything about it or even the fact that Comcast had any 3D channels. People are still trying to get Comcast to support HBOGo on the Roku...good luck getting this! I don't understand why since the HBO app works on the Xbox 360. I'm not sure if it's funny or sad that 1080p is being billed as "Super HD." I know it's just marketing, but "Full HD" seems to be the common term for this. FIOS users can vote for it HERE. I don't know if Cox supports this or not, but I always thought my Roku was streaming their HD files in 1080p. Eh, whatever. It already looked good to me. Stupid question but I don't know enough about 3D. Do you need one of those new 3D TVs or will the glasses do with a "regular" LCD TV? ^^ TV. If it's anything like my WOW provider's 3D On-Demand, you need to select either the Up/Down or side to side version of 3D. Time Warner isn't on board yet, but there's an article that mentions they are in discussions to join. But they have some issues to work out first. So who in the hell is supported? I was suprised that Fios wasnt. I voted for it on the message board thing over at Verizon but dont know if that means much. Not available here. My ISP is good at throttling Netflix at peek hours though. Yeah 1080p at different bitrates it's shockingly noticeable. My computer is really wonky just with the regular HD. It tells me it's buffering it, it says it's playing it, then it's not playing HD. And I don't even know that unless I mouse over the HD logo. It's very odd. My ISP Suddenlink supports this. I tried to watch a 3D movie but my 15 mbps connection wasn't fast enough; it would stop and buffer every 15 seconds or so. I guess Season 2 of House of Cards will be shot in and streamed in 4K.